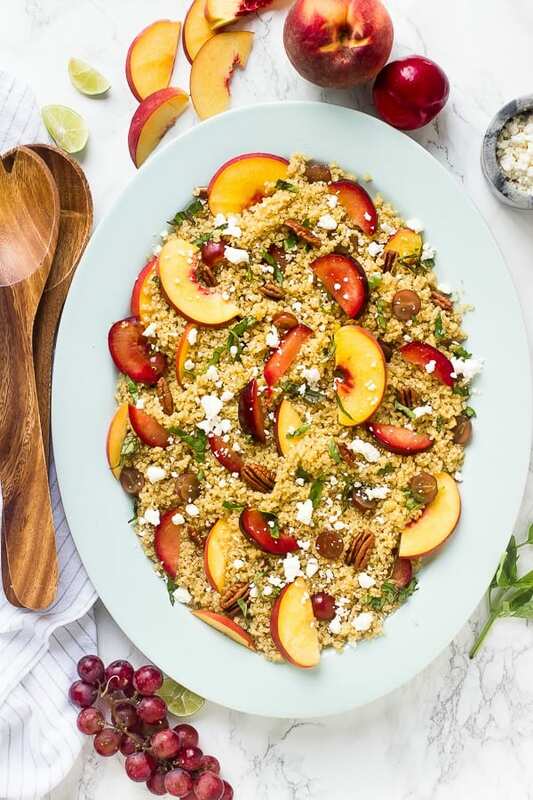 This Quinoa Stone Fruit Salad is a beautiful summer salad loaded with peaches and plums and drizzled with a maple lime dressing that comes together in just 20 minutes! 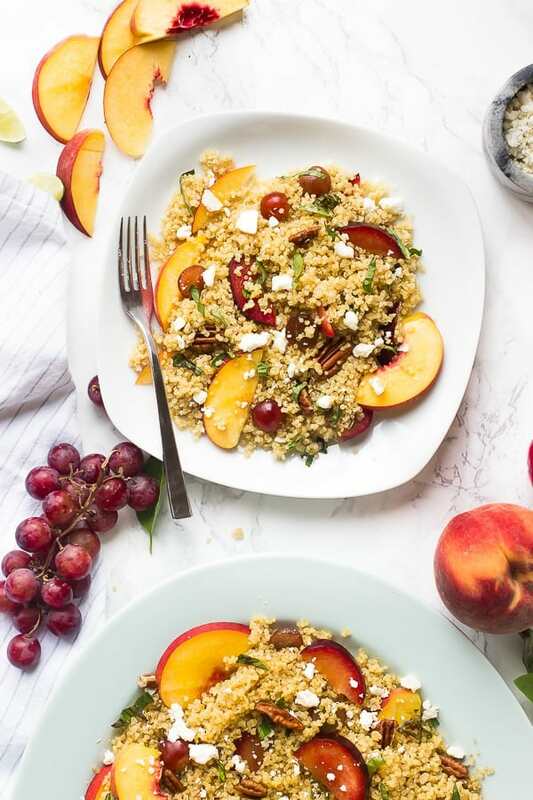 Every single thing in this Quinoa Stone Fruit Salad worked together, and I have a story to prove it. Cue me, three hours out of town, lost and desolate, starving. Okay, that’s minus the lost and desolate part since I was perfectly fine (added for dramatic effect). I did find myself in a situation where the vegetarian lunch options were almost non-existent, and so, SO happy that my wise mother advised me that I should probably pack lunch. If I was in a tv high school lunch scene, I would pull out my sad brown paper bag and eat my boring salad. In this happy scenario, I pulled out my fluffy stone fruit quinoa salad, loaded with fresh peaches, plums, grapes, basil and feta cheese. Not only was I smiling from ear to ear, but I truly got to appreciate just how delicious this salad really was. The quinoa is cooked then drizzled with a maple lime dressing. This takes it from savoury to a delicious sweet and tangy salad base ready for any toppings truly. Add in the delicious fruity punches of peaches, plums and grapes and you’ve got an amazing salad. But wait, there’s more! The crunch of the pecans, and the creamy tanginess of the feta just rounds this off so well. It’s a perfectly filling, summery and delicious salad that you kind of need to go and make before summer is over. 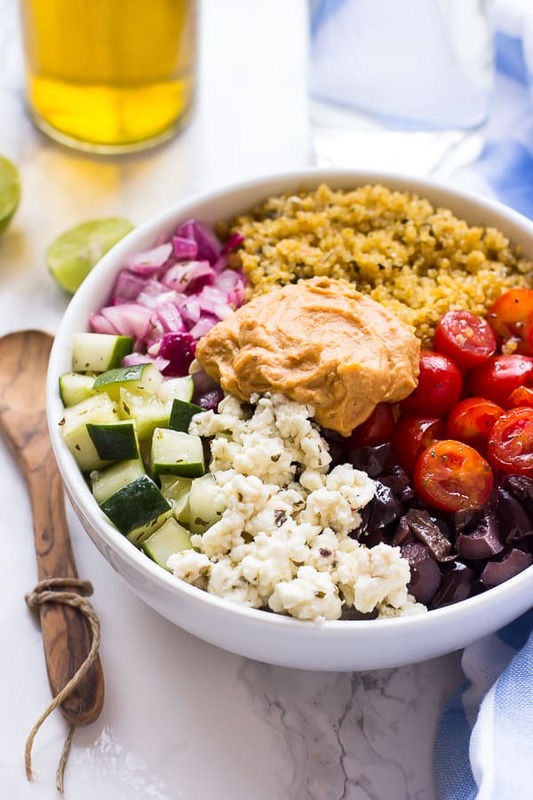 Let this salad save your life too. 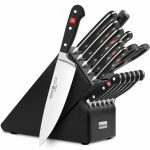 Okay, maybe not your life, but at least let it save your lunches and light dinners. 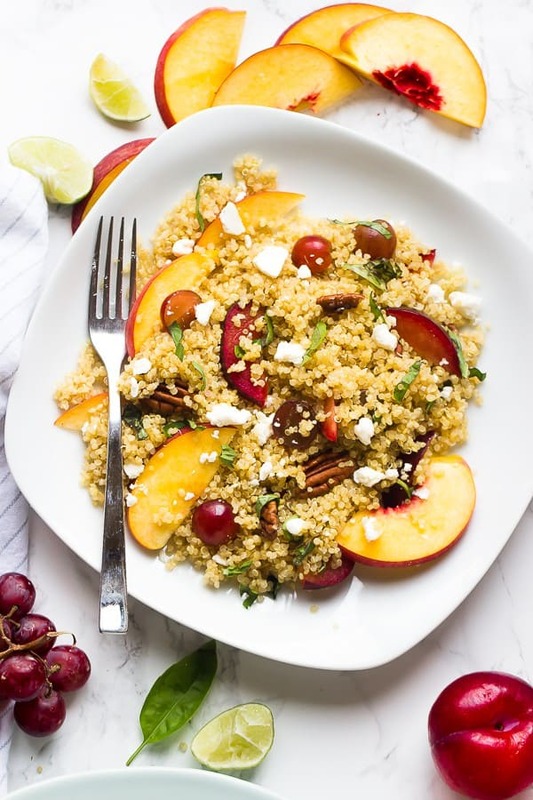 If you try this Quinoa Stone Fruit Salad, please let me know in the comment section below, or tag me on instagram with the hashtag #jessicainthekitchen! For more exclusive recipes follow me on Instagram AND on Snapchat: jessinkitchen. 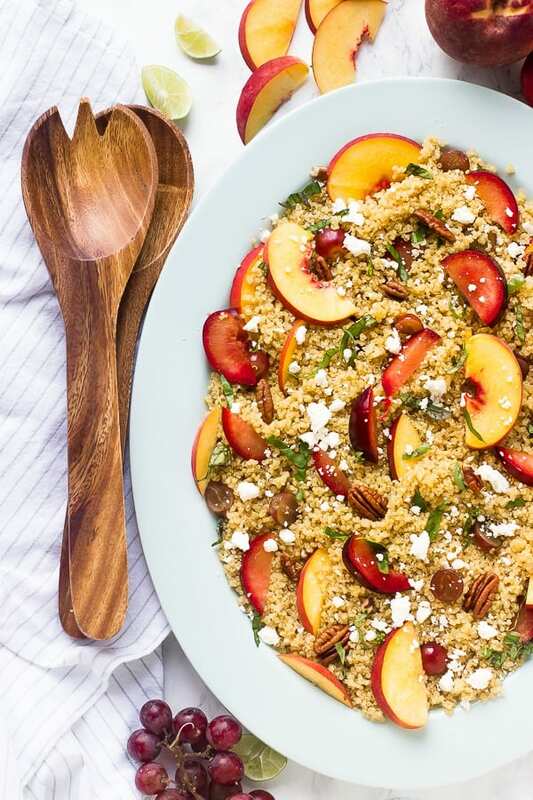 While the quinoa is cooking, slice the peach and the plum, set aside. 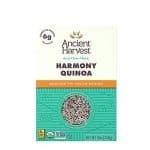 When quinoa is finished cooking, drizzle in the agave nectar and lime juice and stir and fluff together. Add in the other ingredients and stir to combine. 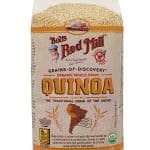 To cook quinoa -> How to Cook Quinoa. 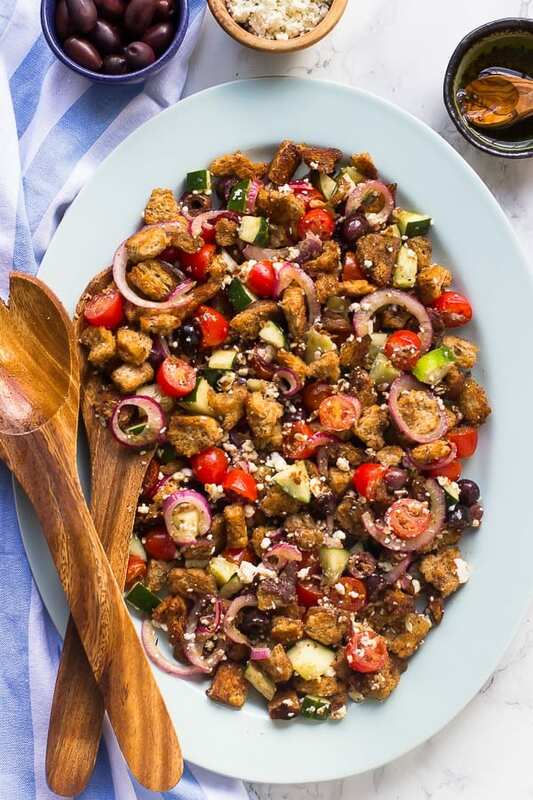 MAKE IT VEGAN: Remove the feta cheese or substitute vegan feta cheese. 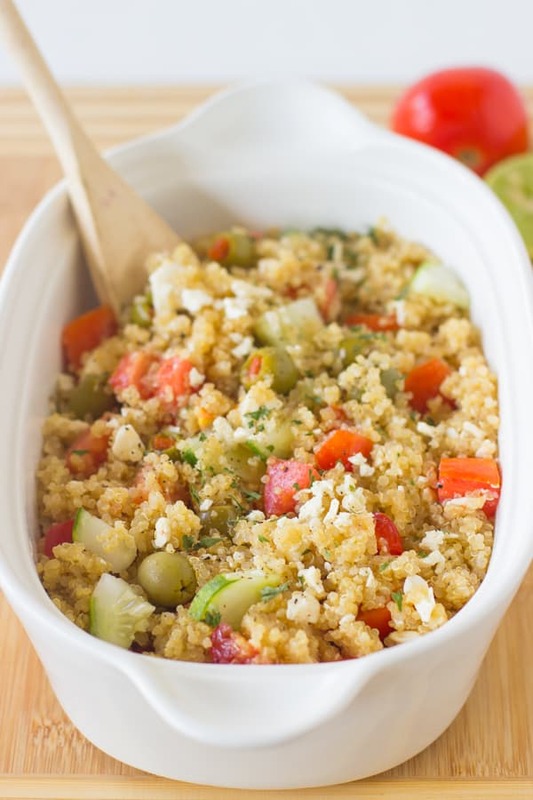 HOW TO STORE: Store the quinoa salad in an airtight tupperware container in the fridge for up to 5 days. This salad can be served cold or slightly warmed. To mix it up, you could also easily used grilled or roasted peach/plum slices. 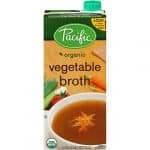 You can also use apricots or nectarines in addition to or instead. This recipe can be easily doubled. I had a similar quinoa salad a couple of days ago too. 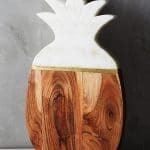 Love your version with different kinds of stone fruits. basil has my HEART when it comes to herbs. i wish i had a garden cause i’d grow that stuff all year haha. this looks amazing, i love how bright and beautiful the plum and peach look. Me too!! I need a garden haha. Thanks Beverley! I can’t get enough of peaches and plums during the Summer so this fruit salad sounds perfect! Thanks Pamela!! The peaches and plums ARE amazing this summer aren’t they?! Thanks Megan!! I love all three on their own and together! This looks taste sensational! thank you so much for sharing this. I will try this out for sure. cheers!